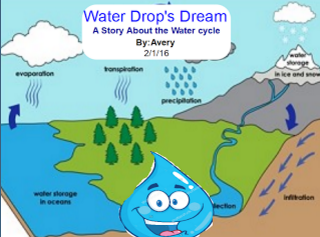 In this lesson, students are asked to imagine that they are the author of a children’s book which takes the reader on a journey through the water cycle. Students are tasked with creating a digital storybook which features a drop of water as the main character. During this project, students must consider the following essential questions: What would a journey through the water cycle look like? What phases of life would a drop of water pass through? How does pollution affect this life cycle? 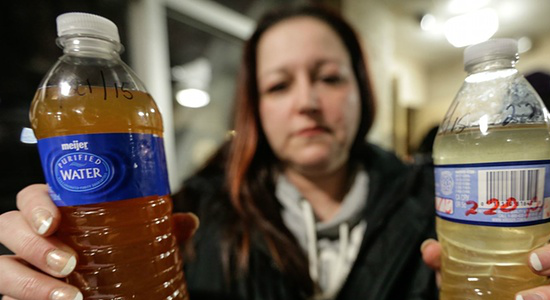 Do all areas of our country enjoy safe, clean drinking water? If not, what can we do to help? Students are provided a teacher created Google Site which houses all necessary components for this project. Upon completion of their digital storybooks, students will complete a peer review, research the water crisis in Michigan, and self reflect on their finished projects. Through this creative learning experience, students will synthesize information from a unit of study on the water cycle, research the importance of water as a natural resource, and consider a solution to a current real world problem involving a water crisis in the United States. Upper Developing – Students were responsible for researching information about the water cycle as well as the water crisis in Flint, Michigan. The teacher provided pre-selected information sources, but the students were also able to use other valid online sites that they discovered during their research to accurately determine how real world pollution issues in Flint, Michigan might affect the water cycle. Approaching – The teacher modeled a range of communication methods and digital tools. All of the information for this lesson was housed in a Google Site. The site helped to set up the challenge and allowed the students to address an authentic task beyond the classroom walls. Students had the opportunity to work in groups or individually as well as select the most appropriate digital tool to address an authentic task. A Google Form was used to communicate peer assessment and feedback in order to set goals for future growth. Developing – Students had to think critically in order to conjure up various methods to help solve the water crisis in Flint, Michigan and justify how this affects the water cycle on a broader level. I was surprised by the number of students who were unaware that this was happening, so they were eager to generate and respond to purposeful questions. Students used their laptops as well as various software tools in order to think critically and solve problems to class assignments. Ideal: This lesson allowed the students to synthesize existing and self-generated knowledge to create new products. Students were provided choice and the class was surveyed as to which digital tool would be most appropriate for creating their digital story books allowing for the class to create new products, and generate new perspectives leading to more insight and a deeper understanding of the content. Final peer reviews via. a Google Form embedded on the site allowed for students to reflect on the creative process and set goals for future growth.